♥ Mama 2 Multiples ♥: Summer Infant Products Review & Giveaway: Max the Monkey! Summer Infant Products Review & Giveaway: Max the Monkey! I am constantly on the lookout for new baby and children's products, and now that we live in a larger home, and Mason has his very own room (something the twins never had until they were 18 months), I am loving the chance to decorate it and "Mason-ize" his room! I have been familiar with Summer Infant Products for several years now, since the twins were born, really. They have an array of baby gear, nursery products, feeding gear, and so much more! "At Summer Infant, we strive to walk beside you in your parenting journey, providing you with the safest and most reliable products on the market. or the past 26 years, Summer Infant has worked tirelessly to develop the safest and most innovative products that stand the test of time. Rest assured that every Summer Infant product, from the crib to the bathtub and everywhere in between, has been designed, developed, crafted, and created with integrity, ingenuity, and safety in mind. All of our products are backed by our team of pediatricians, giving you assurance that they are safe and beneficial to the development of your child. Our products speak for themselves. Just ask other moms, or better yet, check out all of the amazing awards we have won. You and your baby are important to us. Go on…have the best time of your life. We’ll do the rest." Max the Monkey lullaby soother! This monkey is easy to turn on, and Mason can even do it himself. With a light push on his belly, it's on. Another favorite part of this product that I love is that there is the option to have the belly glow and play sound, or just play sound. If I just want a lullaby to soothe Mason to sleep, I leave the belly off from glowing. But most of the time, the belly is on and the lullaby is on too. That seems to be his favorite tune. There is also the option of ocean/water sounds. With the seahorses we have used in the past, they only play for about 5 minutes. This lullaby soother plays for 15 minutes! I love this, as usually it takes longer than 3-5 minutes to fall asleep, especially for little ones! So this soother doesn't shut off before Mason is asleep, and I don't have to go in to his room over and over again to turn it back on to help him get to sleep, like I would with his seahorse. The only downside is that because we use it ALL the time, it definitely takes a toll on the batteries, so we go through a lot of them. But, it's worth it for the result I get from using it (Mason's sleep! ), and Mason just loves it. Every time we put him down for a nap or bedtime and turn the monkey on, he just lays there and looks at it, and I am sure that's what puts him to sleep. Other than that, I have absolutely no complaints, and this product comes HIGHLY recommended from this mama (and Mason!)! 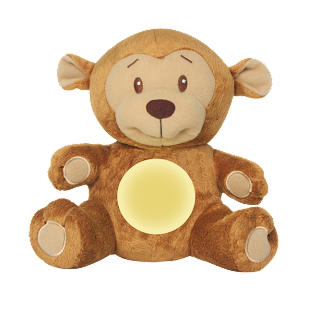 To purchase: You can purchase Max the Monkey and other lullaby soothers or products at Summer Infant's website HERE. 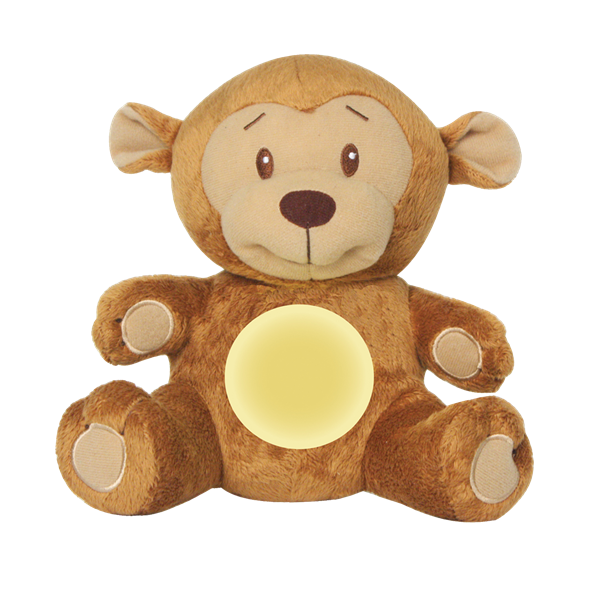 WIN IT: ONE lucky reader of Mama to Multiples is going to WIN Lily the Monkey lullaby soother! Want the BabyTouch™ Digital Video Monitor.